Backups have never been simpler. 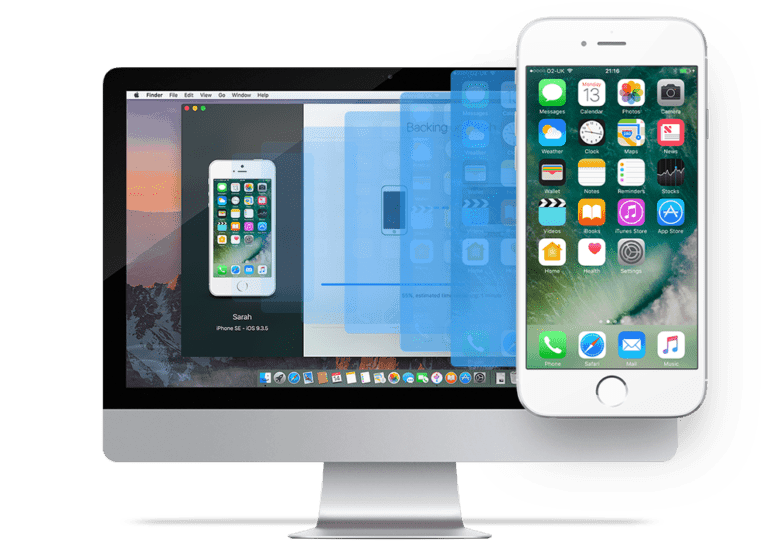 Backing up your iOS devices can be a pain — but not if you have iMazing Mini, a smart yet simple new tool from DigiDNA that makes backups a breeze. It not only gives you more control over your data, but it can perform backups wirelessly on a schedule that suits you. It also has a whole bunch of other awesome features, and it’s completely free — without any pesky ads. If you don’t want to pay for extra iCloud storage, you probably backup your iPhone and iPad to iTunes. That means you have to fire up your computer and plug in your device every so often, or rely on iTunes to backup your device wirelessly when it sees fit. With iMazing Mini, you get more control over wireless backups. They happen at a time to suit you, and you can choose exactly where they’re saved. Unlike iTunes, the backups are incremental, which means you can return to a specific one to restore your data. What’s more, every backup is encrypted for security, and optimized to take up less storage on your computer. You specify how many backups your want iMazing Mini to hold onto before they are removed, and you’ll get a notification if your backups are behind schedule. Another big advantage over iTunes is that iMazing Mini does not require your iOS device to be plugged into a power source before a wireless backup can be performed. You can keep it in your bag or pocket and everything happens in the background automatically. The app also comes with additional tools that allow you to check the health of the battery inside your iPhone or iPad, and quickly view useful information like UDID, serial, and IMEI numbers. You can even remotely restart, shutdown, or sleep/wake a connected device. Perhaps the best thing about iMazing Mini, however, is its price tag. It’s completely free to download, with no ads or usage limits. If you need additional features — like the ability to browse your backups — you can purchase iMazing 2 for $40, but you don’t have to. Everything mentioned above is free in the mini version. iMazing Mini is now available in beta for macOS and coming soon to Windows, and it already supports devices running iOS 11.